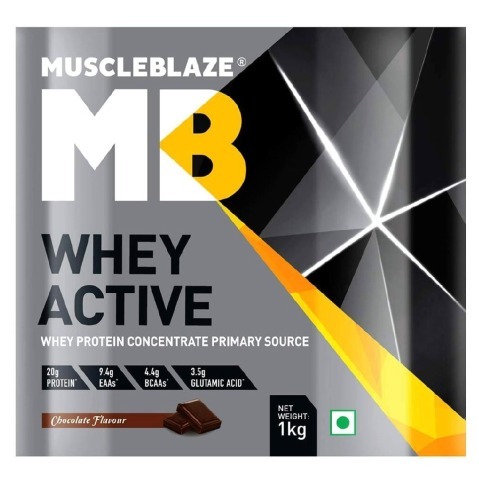 MuscleBlaze Whey Active 2.2 lb Chocolate is a perfect blend of concentrated and isolates forms of whey proteins, which considerably help to reduce chances of any sort of protein breakdown while exercising that ensures your muscles to stay in an anabolic mode. 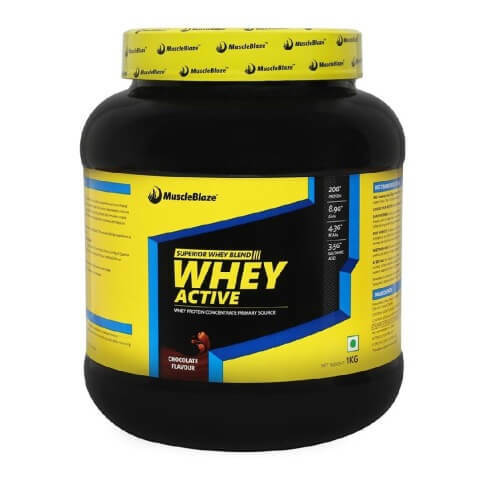 The fast releasing action of this whey protein helps in a better absorption of the protein, which helps to get quick results of the whey protein. 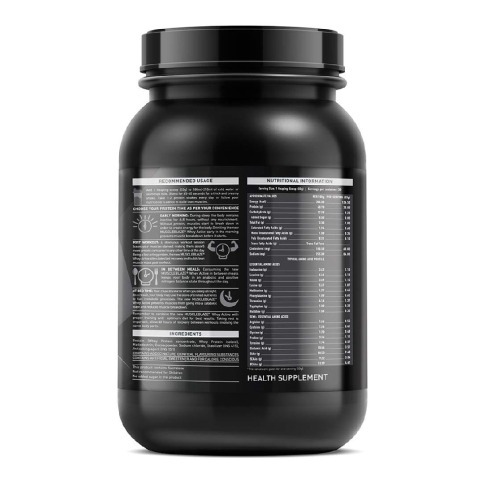 It is a whey based supplement, which helps in the enhancement of muscle building. 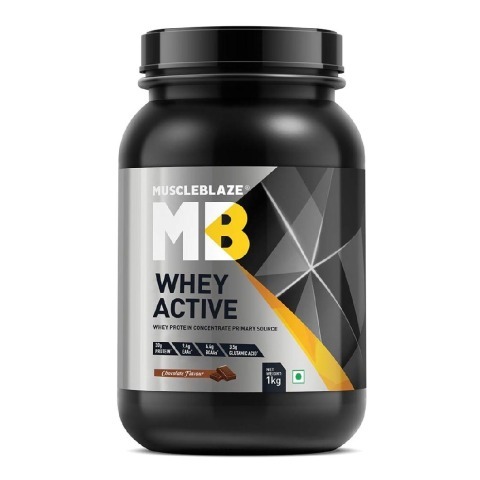 MuscleBlaze Whey Active Chocolate is not only a premium quality protein, it also contains BCAAs and EAAs, which helps to provide you with better strength and power supplying your muscles with the right amount of energy while doing rigorous workout sessions. This supplement fastens the recovery of muscle tissue from fatigue and soreness and helps you to increase your muscles at a rapid pace. 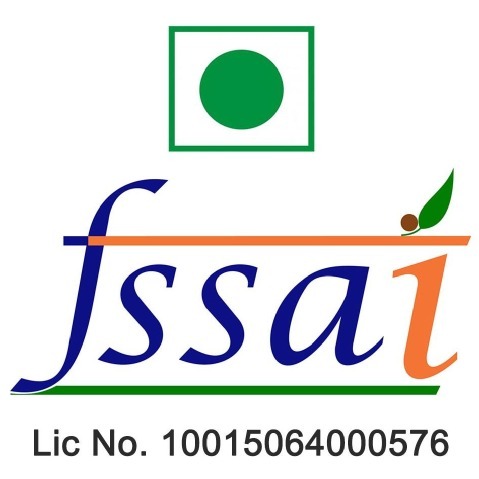 It comes packed with minimum fats and carbohydrates and satisfies your nutritional requirements. It also helps to reduce muscle loss due to high-intensity workout sessions. 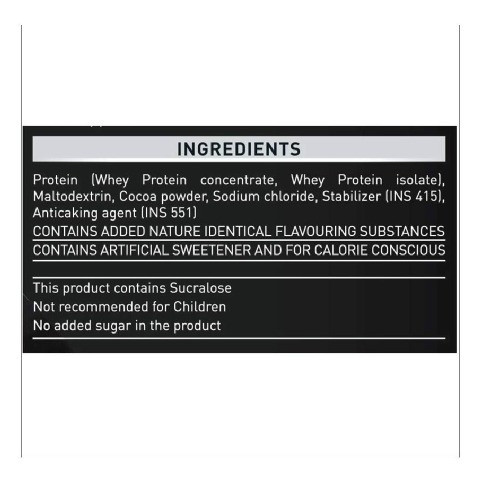 Whey Protein Concentrate, Cocoa Powder, Whey Protein Isolate, Acacia Gum (E414) and Xanthan Gum (E415). Add 1 heaping scoop (33g) to 190-210ml of cold water or skimmed milk. Blend for 45-60 seconds for a thick and creamy shake. 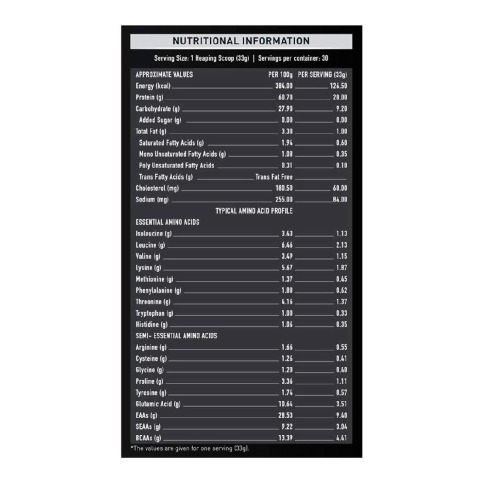 Take 1-2 protein shakes per day to build lean muscle mass. Early Morning: As levels of glycogen starts dropping down, your body starts consuming stored amino acids in muscles to offset the effects. This leads to muscle breakdown. Regular intake of MuscleBlaze Whey Active early in the morning prevents this by quickly delivering amino acids to your muscles. Post Workout: A strenuous workout session leaves your muscles starved, making them absorb more protein compared to any other time of day. Being a fast acting protein form, MuscleBlaze Whey Active 2.2 lb Chocolate stimulates recovery and builds a lean muscle mass post workout. In Between Meals: Consuming Whey Active in between meals keeps your body in anabolic and positive nitrogen balance state throughout the day. At Bed Time: Your muscles starve when you sleep at night. 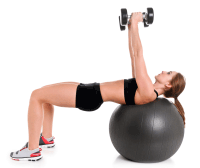 As a result, your body may break down muscles to fuel metabolic processes. 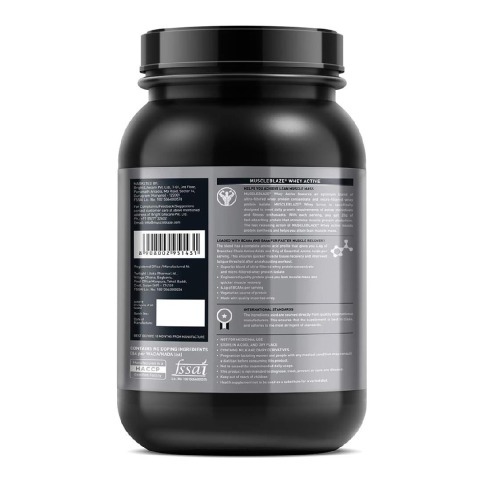 It prevents muscles from going to catabolic stage and controls muscle breakdown. 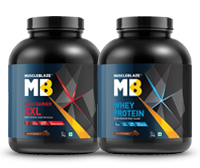 Remember to combine MuscleBlaze Whey Active Chocolate with proper training and optimum diet for best results. Taking rest is important; allow 48 hours of recovery between workouts involving the same body parts.